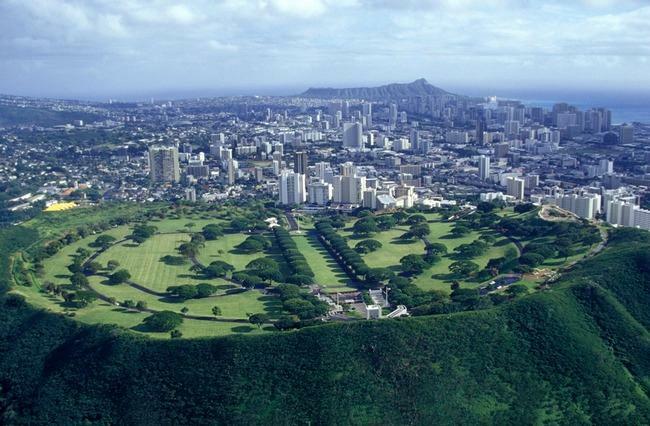 Tour Description -An 8-hour "must see" deluxe tour visiting Oahu's most historic landmarks, including the World War II Valor in the Pacific National Monument with Arizona Memorial, USS Missouri, Punchbowl National Cemetery and Downtown Honolulu. Enjoy a unique and total experience with an original in-depth video, professional and friendly Royal Star driver, and mint and hand towelette service, all in the comfort of a Royal Star vehicle. Vehicle: Royal Star vehicle (Van, Mini Bus or Motorcoach) for touring in comfort, plus video system, seat belts and professional driver. Wheelchair lift available upon request with 24 hours advance notice. Pick-up in Waikiki by Gold MCI 4500 Series Motorcoach, including a video presentation of tour agenda and history on passing landmarks. 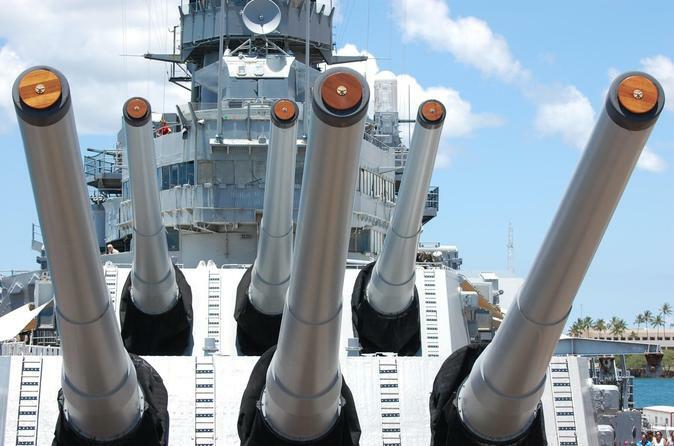 Professional and friendly Royal Star driver will take you to the USS Missouri (2 hours). Depending on traffic and wait time at the Memorial, we reserve the right to alter the route order and return times are an estimate only. For security reasons, no bags, baby strollers or other items which offer concealment are allowed at the Memorial. The National Parks Service permits us to provide 'wayfinding' only within the park sites. Unfortunately we are not permitted to provide any interpretation within the park.